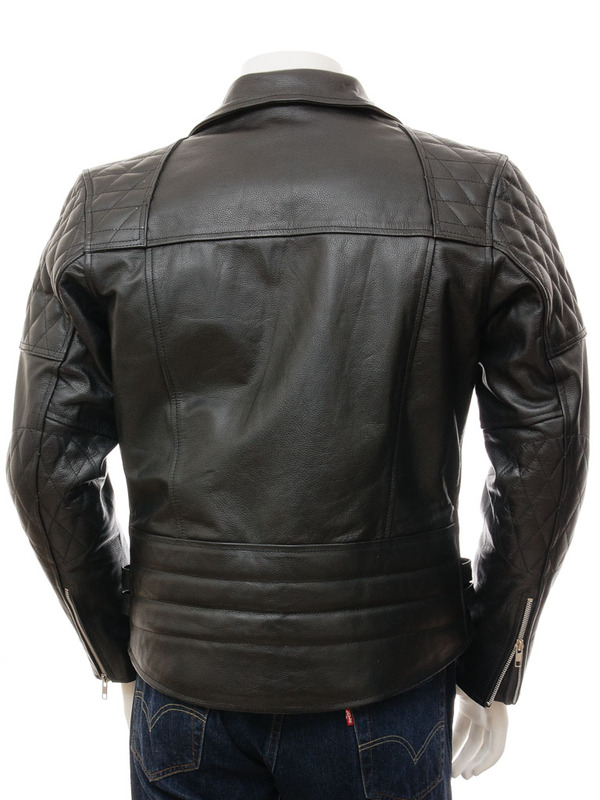 A tough, rugged black biker leather jacket in cow hide. Being thicker and more rigid than sheep leather, cow is an excellent choice for this style of jacket. 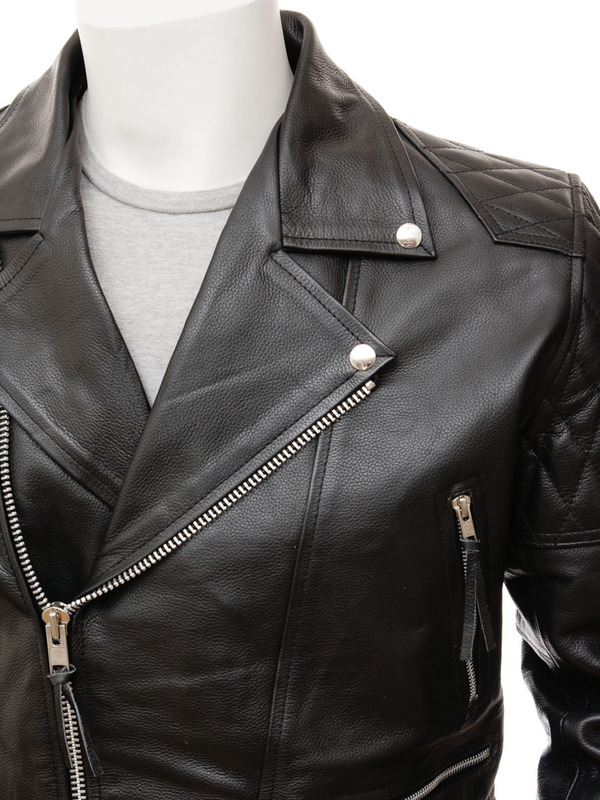 A subtle grain runs across the surface and, once the jacket is broken in, it will feel like a second skin. 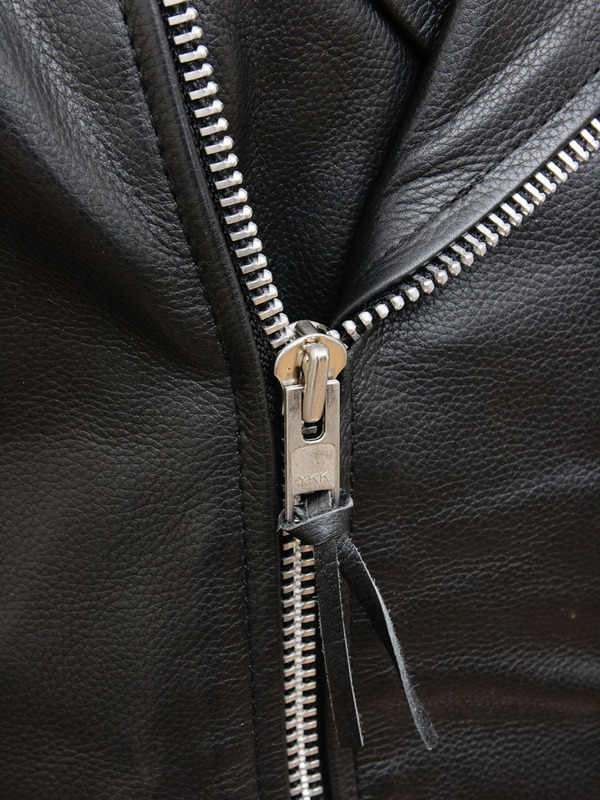 The design is of course familiar with a chunky YKK zip angled diagonally over a double breasted front with wide lapels held in place with press studs. There are two angled zip pockets at the chest plus another one set horizontally on the waist. YKK zips are also present on the gauntlet cuffs which allows to sleeves to be nice and slim, befitting this style. Diamond quilt stitch panels on the shoulder and upper arm give extra protection in those areas while buckled straps at the side seam allow the fit to be dialled in even more accurately. 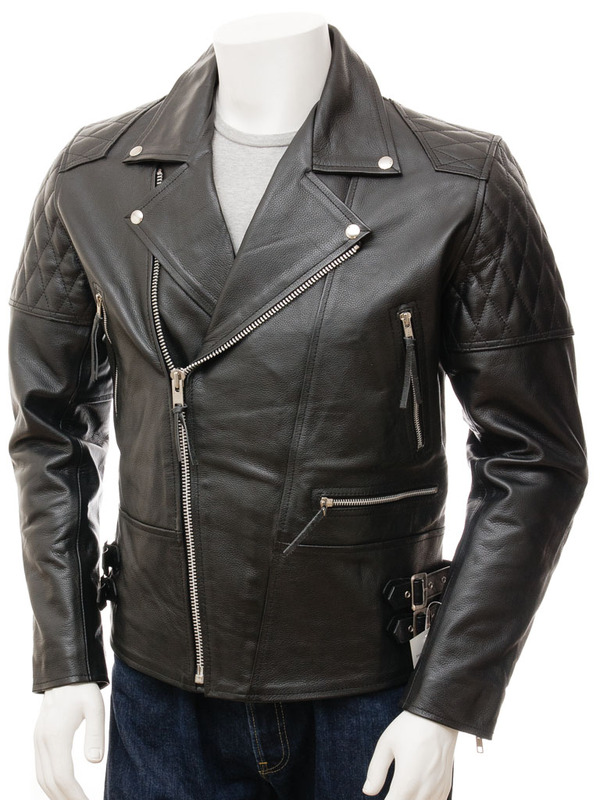 Inside, the jacket is fully lined in a quilted satin and includes two more leather trimmed pockets. One of these is zipped.